Janet Jowett has been involved with FRONTLINEdance for the last 12 years as a parent of a Breakthrou’dancer, a board member and a director. She retired as a fulltime teacher in 2012 after 30 years’ service in primary and secondary education, where she was also departmental and key stage leader, specialising in music within the schools (linking to her own music skills). Janet enjoys playing the piano and now conducts and leads the Daleian Ladies Choir in Silverdale. Janet has always been interested in music and drama, having been a member of several musical societies and choirs in the past. 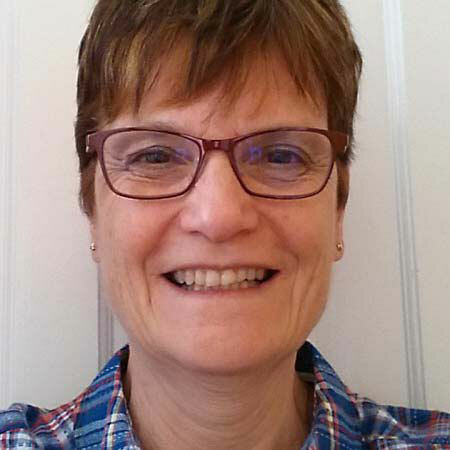 Janet now works part time for a supply teaching agency and leads the activities group at her local church’s and enjoys their ‘Messy Church Events’. Janet’s initial involvement with FRONTLINEdance came via her son David, now 30 year’s old, who has Down’s Syndrome. He was really keen to join Breakthrou’ after FRONTLINEdance performed at Blackfriars FE college over 10 years ago. Since then Janet has watched his confidence grow from strength to strength and his dancing skills progress far beyond her expectations. Janet has taken great pleasure knowing that David enjoys regularly attending Breakthrou’dance and that he toured with the professional company during its 5th Anniversary Tour. David has enjoyed helping out the Artistic Team as a workshop assistant, making his own work (solos), and supporting with administration.